New York City Water Only Cafe — $20 per Gallon? While pretty much everyone agrees that great tasting water has a definite place in our lives, how much would YOU pay for gourmet, artisanal water? $0.99 for a 16 ounce glass? How about $1.99? More? If you said more, then you would fit right in with the folks currently shelling out (a minimum?) of $2.50 for a cold, refreshing glass of custom filtered tap water in a place called Molecule in New York City. Molecule, which recently opened in Manhattan’s East Village, charges $2.50 per 16-ounce glass of water treated with its custom-built, $25,000 purifier. If you do the math, and we just did, a single gallon of Molecule’s specially filtered tap water costs $20. In our minds that does not make a lick of sense, but then again we also clip coupons, wait for things to go on sale, and use coupons on double coupon days whenever possible. Believe it or not, we have no beef with the the owners of Molecule and wish them the best of luck in their new venture. If they can find enough people to spend $20 for a gallon of purified tap water taken from a municipality that recently won an award for the quality of its water, then good for them. We will stick to our routine of testing our water and using point-of-use water filters like the Filtrete Water Station by 3M that removes unwanted aesthetic tastes and odors (i.e. chlorine) and fills four bottles with clean tasting water in our home. We really don’t mind having to reuse the same containers, either. Better for the environment and better for our wallets! If you don’t test your water with a water quality test kit every once in a while you will not know for sure whether or not your water needs remediation (filtering). 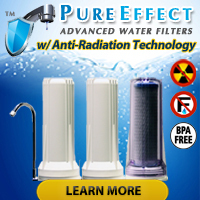 Many companies out there will try to scare you into believing you need a water filter with out ever testing your water… so unless you’ve had your water tested properly either by your own hand or by a trusted laboratory, do NOT invest (yes, we said invest) in a water treatment system. 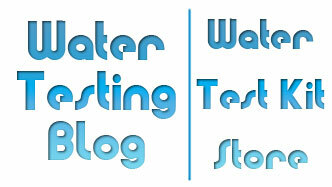 Different water filters serve different purposes by removing/reducing different contaminant levels. As an example, a water softener designed to remove calcium and magnesium hardness from water will do little good if you actually wanted to get rid of a chlorine taste or odor in your water. Also, testing of the water prior to investing in a water treatment system could prevent you from purchasing too little filtration — and still having water quality issues — or purchasing way too much filtering power and wasting your money that way. Test your drinking water, properly identify & quantify the problem(s), and select the proper water filter to suit your individual water quality needs!